With the highly anticipated Scriptures Riddim by Multi-Platinum producer Donovan "Don Corleonie" Bennett already getting raves reviews after an exclusive mix by Irie Fm radio jock DJ Wayne was released earlier this week, reggae singer Duane Stephenson who's song "Things Get Hard" is featured on the project offers up another dose of social commentary to his fans. 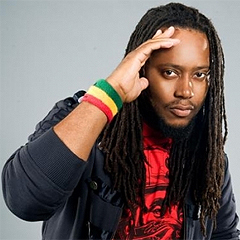 "Things Get Hard" which is one of two singles Stephenson recorded for Corleonie highlights amongst other things the oppression faced by many Jamaicans on a daily basis. Other big name reggae artists such as Jah Cure, Morgan Heritage, JahVinchi, TOK and Chronixx also made the Scriptures compilation. In other news Stephenson who premiered his "Fire In Me" music video last month will be releasing another in a few weeks, this time for the song"Another Day In Kingston Town" produced by Dameon Gayle of Warrior Musick Production.